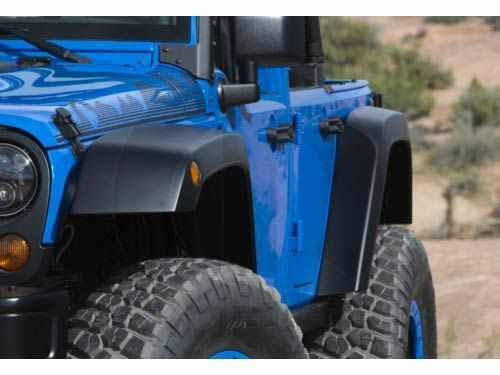 Like your factory flares, but hate the clearance they offer with over-sized tires? 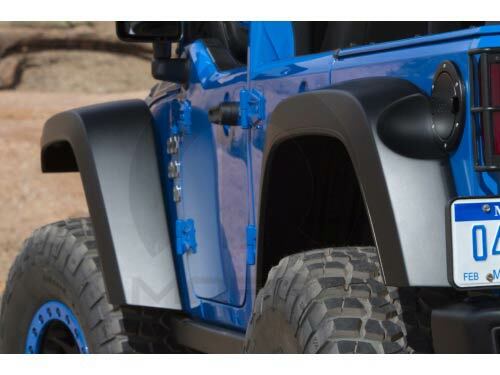 Introducing the all new Factory Style Hi-Clearance Fender Flares for the JK Wrangler from Mopar Performance Parts. These flares provide incredible clearance and will allow you to run up to a 37" tire on only a 2.5" lift and a 35" tire with no lift at all. Say good-bye to rub and hello to flex! These flares look great, install easily and are available in a black textured finish or a smooth paintable finish. This item is oversized and does not qualify for any free shipping promotions. It also must ship via freight.